A perfect blend of edgy and elegant. 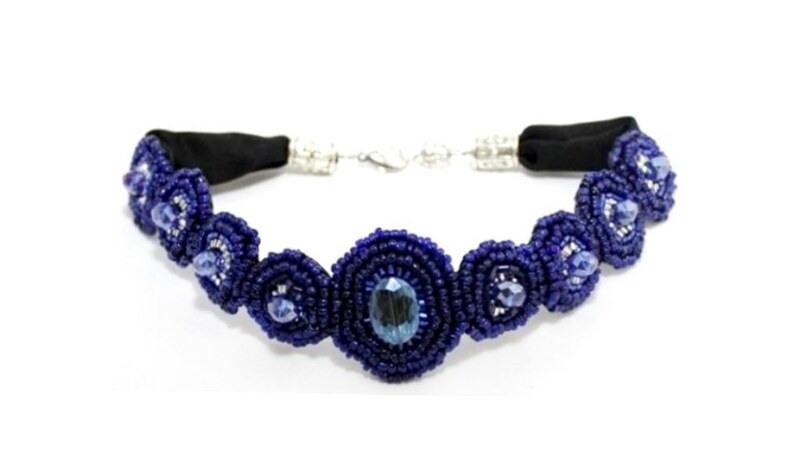 This statement choker consists of 9 German crystals surrounded by silver and blue Japanese seed beads all hand sewn on a faux black leather backing. 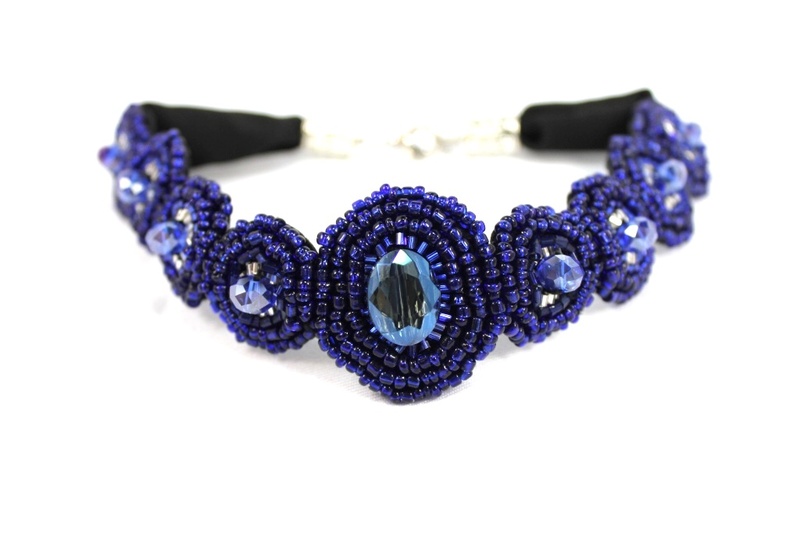 Finished satin ribbon attached to a lobster closure makes this stunning piece adjustable.